The day was spent all together, visiting first the engineering site in the morning and get acquainted with all the production procedure processes. Fives OTO S.p.A (Systems Division) is in charge of design and manufacturing of complete automation systems for steel and tube plants. 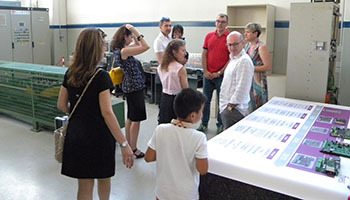 More than 170 participants of Fives OTO special day were accompanied through a guided tour to better understand all the work involved on daily basis, according to the department they were showed, with the usage of active demonstration. 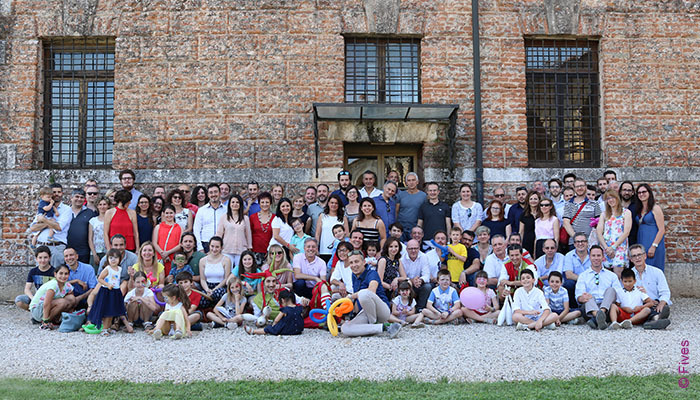 In the afternoon, the guests were invited to the ancient historical site Villa Fracanzan in Vicenza to enjoy a buffet in the gardens and an open air museum with vintage tractors and work tools for the countryside and agricultural crops. Children were greeted by court jesters, who kept them all entertained with activities for the day. To mark the day the Fives logo cake was served as tradition imposes. Stefano Olcese, Chief Executive Officer of Fives OTO S.p.A and Head of Tube and Pipe business line, gave a thanking speech to the attendees for their participation to the event and the pleasurable time spent in joy together.